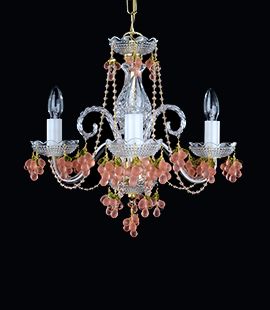 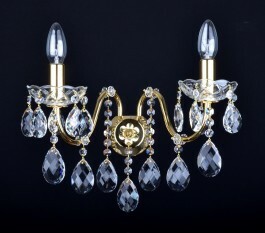 The crystal chandelier with the profiled glass arms and crystal almonds. 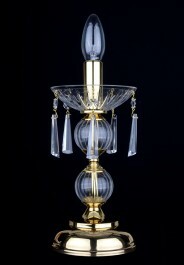 The body of the ceiling lamp consists of hand-blown round glass flasks. 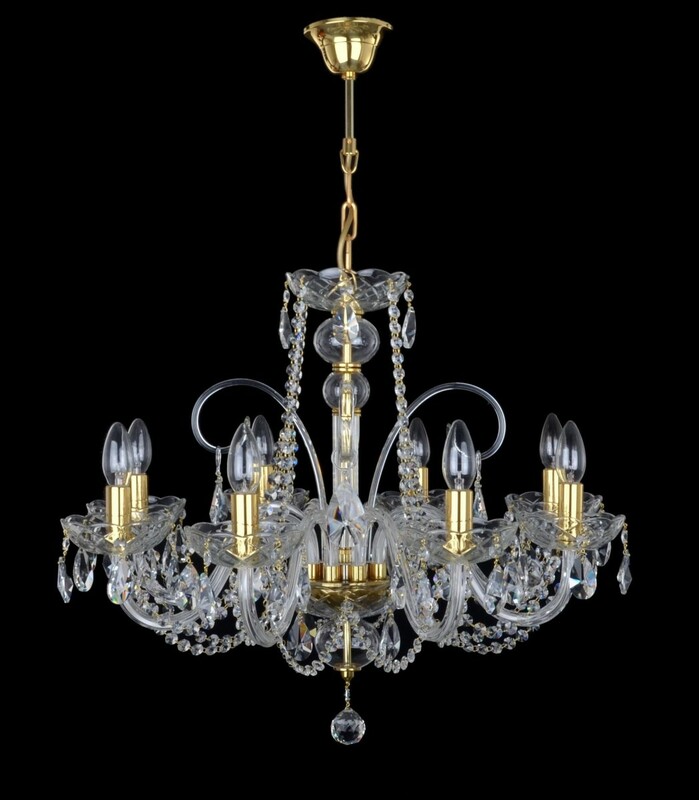 Golden glossy metal. 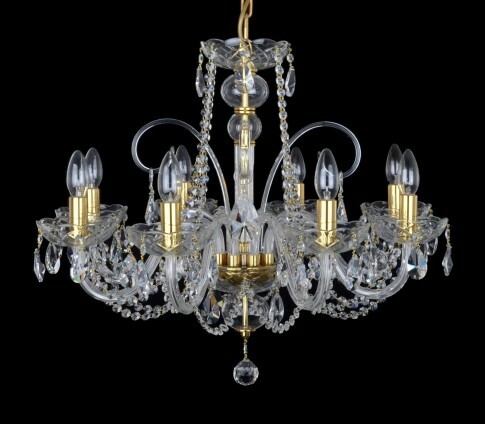 The design glass crystal chandelier with 8 solid profiled glass arms. 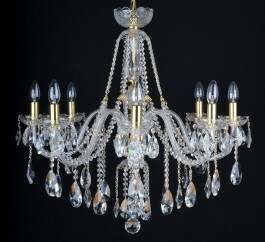 Dimensions (W x H): 69 x 59 cm/ 28.2"x24.1" (measured without chain). 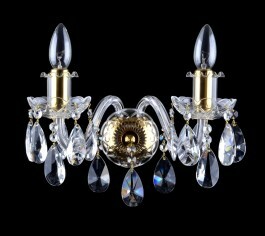 Crystal trimmings: Swarovski (on request).